Obverse: WILLIAM AVGVSTVS / MVHLENBERG D.D. 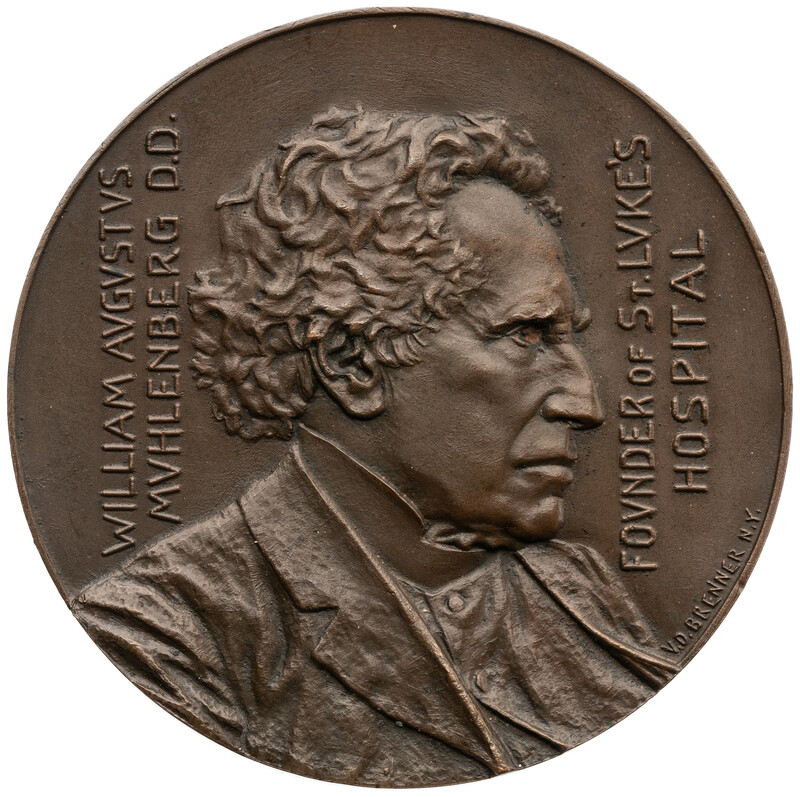 / FOVNDER of St. LVKE'S / HOSPITAL - Bust of Dr. Muhlenberg, right;signed along the rim to the right of the bust V. D. BRENNER N.Y. 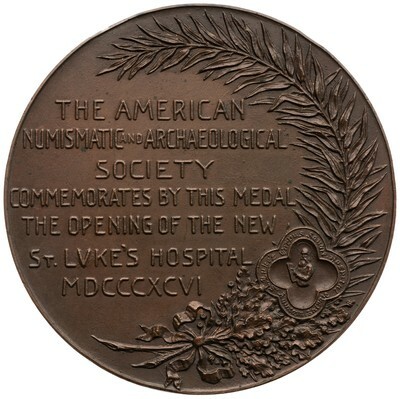 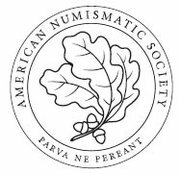 Reverse: THE AMERICAN / NUMISMATIC and ARCHAEOLOGICAL / SOCIETY / COMMEMORATES BY THIS MEDAL / THE OPENING OF THE NEW / St. LVKE'S HOSPITAL / MDCCCXCVI - Seven-line inscription, to the right of which is a branch of palm and oak, superimposed on which is the seal of the hospital. 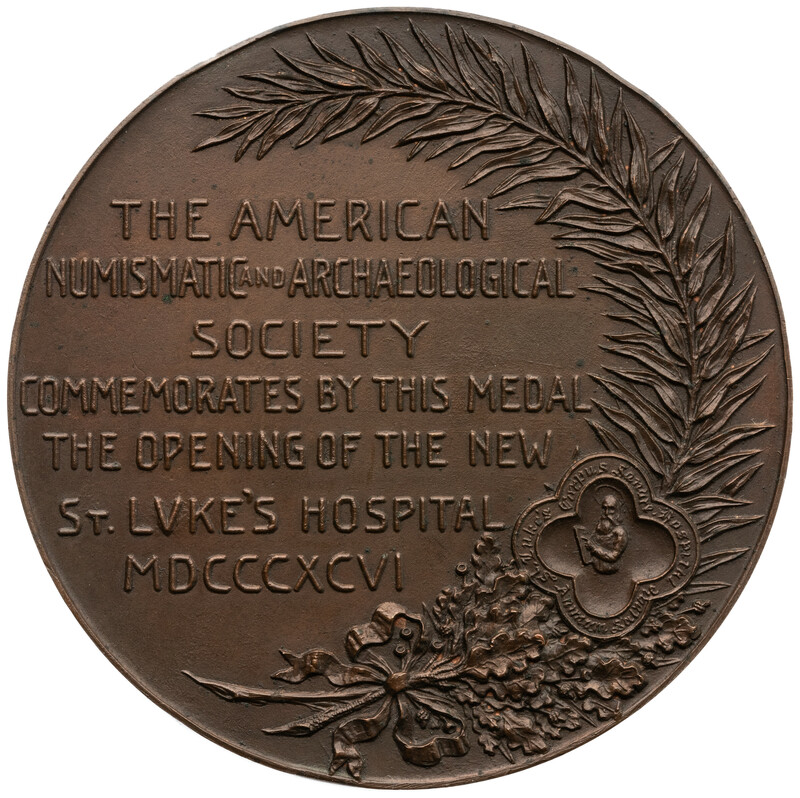 SubjectPerson: St. Luke/ Muhlenberg, William A.